The Commercial Finance Association (CFA) today announced that commercial finance industry veteran Charles Johnson will join the Association as the Director of Membership, effective December 1, 2012. 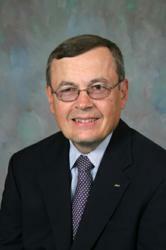 Mr. Johnson has more than 40 years of experience in the asset-based lending industry. Most recently, he was with M&F Business Credit in Memphis, Tennessee where he served as Senior Vice President. Prior that that he was Managing Director at UPS Capital. He also held senior positions at commercial lenders including Allstate Financial, Heller Financial and Whirlpool Financial Corporation. Throughout his career, Mr. Johnson has been actively involved in the CFA, serving at various points as a member of the Association’s Board of Directors, Executive Committee and, Management Committee, as well as President and Chairman of the Board. He is also a member of the Association for Corporate Growth and the Turnaround Management Association. He holds a bachelors degree from Georgetown University and an MBA from the University of Hartford. "We are excited to have Charlie join the CFA team. His extensive career in the ABL industry and his experience within the CFA makes him ideally suited to help us grow our membership. We are seeing growing interest in ABL and factoring from community banks and entrepreneurial finance companies and Charlie will be a great asset in introducing those organization to all that CFA has to offer. said Andrej Suskavcevic, Chief Executive Officer of the CFA. “I am looking forward to re-joining the CFA team in a role where I can help those financial services companies which are not already members discover the benefits of being involved in the premier trade association for asset-based lenders and factors, said Johnson. More and more commercial lenders are adding ABL and factoring to their product offering and such organizations can benefit greatly from CFA membership,” he added.